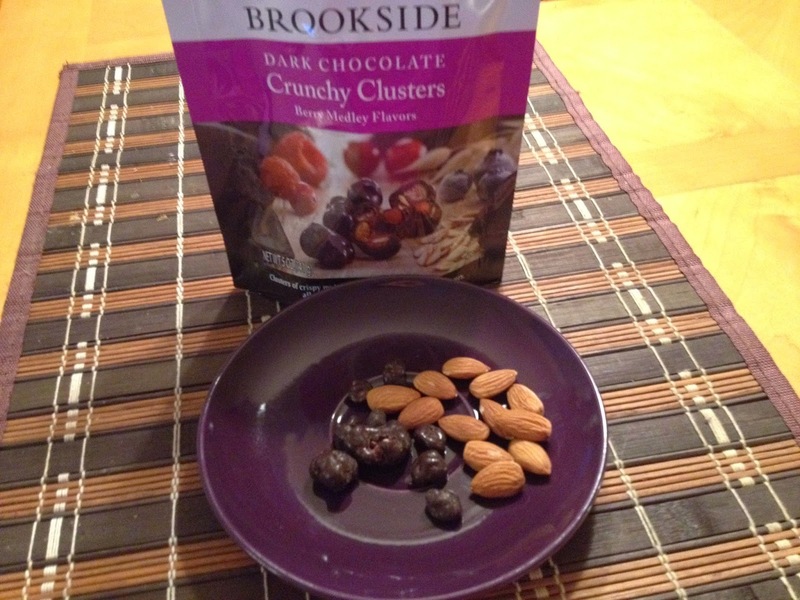 Snack Pairing: Brookside Crunchy Clusters #DiscoverBrookside - Sam Enjoys & Shares! I like to enjoy a nice snack while enjoying a good book or film. Who doesn’t? I will periodically feature a suggested food and entertainment pairing. The first pairing is Brookside Crunchy Clusters. Smooth dark chocolate, multi-grain clusters and alluring, fruit flavors create an enticingly delicious taste experience. Its unexpected crunch and texture like you’ve never experienced before. Eat it on the go, at home, during work, share it with friends! #DiscoverBrookside. The Brookside description is pretty true to my experience. These clusters have a rich dark chocolate flavor byt inside there are small crunchy, toffee textured fruit flavors. The sample I tried tasted of tangy berries such as raspberries and others. I loved the combination of the slightly bitter chocolate with the sweet and tangy fruit. I like to pair this with a small amount of almonds to add crunch and cut the sweetness a little. Yum! I like to enjoy Brookside Crunchy clusters with a bittersweet romance ideally something with a bit of “tang” to it. Or perhaps a slightly naughty comedy drama such as HBO’s Girls. For more information about Crowdtap visit the Crowdtap website.